But gradually support grew, partly due to the clear failure of the ruling party to achieve its stated goals, partly the result of an impressive demolition of its core claims about weight loss and the causes of heart disease by several dedicated academics and partly due to various organisations implementing some of its policies with considerable success, such as the diabetic community. Now new research strengthens the case for making low carb not only the go-to diet option for reversing diabetes but also an obvious shoe-in for improving the safety and effectiveness of cancer treatment. This is despite the remarkable ability of the old regime to continue pretending that there is no evidence that it has any benefit at all. A shocking example of this strategy was revealed in painstaking detail by American science journalist Nina Teicholz in the BMJ a couple of years ago. She showed how the evidence used to support the standard US dietary guidelines had ruthlessly excluded evidence of low-carb benefits to maintain its position. Last month, however, it looked, as if the low fat group had staged an impressive comeback with a randomised trial published in the Lancet which demonstrated that diabetes could be reversed and blood sugar levels returned to normal by restricting calorie intake to about 40% of normal – a mere 800 a day for several months delivered in sachets of a 50% carb liquid with added nutrients. Those on the diet lost an average of 10 kilos; the ones who lost the most had the best chance of having a normal blood sugar level meaning they were no longer diabetic. But on closer examination – see Dr Zoe Harcombe’s detailed analysis - this randomised controlled trial with over 300 diabetics turns out to be an own goal for the established regime. To begin with it demonstrates clearly something that the low-fat party has been denying for years – that diabetes is reversible with diet. The low carb party has been claiming it is for nearly as long, and there’s evidence that low-carb is an effective and palatable way to do it. Secondly by continuing to wear the low-fat blinkers the researchers have ended up in a cul-de-sac. The Lancet paper claims that this was the first time a randomised trial had shown that diet could put diabetes into remission. Dr Harcombe, however, points out that there was a low-carb controlled study from 2008 which lead to greater improvements in both blood glucose levels than the low glycaemic control group, allowing participants to reduce medication or come off it entirely. The trial had been cited 226 times, so it was hardly invisible. She also referenced a randomised trial of high protein for people with pre-diabetes in 2016. All of those on this diet were no long pre-diabetic after six months compared with only 33% of those on the high carbohydrate diet. So now the low-fat group are in a bit of a bind. Although they have evidence that diet can reverse diabetes, the downside is that patients would have to be on around 1200 calories a day for life, something other studies had long since shown to be almost impossible in the long term. So what about the official low fat diet as an option? Well that turned out to be a disaster. Just 4% of those getting it in the Lancet trial achieved remission of diabetes compared with 46% of those on the very low-calorie shakes. Dr Harcombe described continuing to recommend the current dietary guidelines for diabetes as ‘medical malpractice’. As she writes: ‘What would you choose? A very low calorie (which is also in practice low carb) diet, which comes with hunger, nutritional deficiency, inability to socialise (during the liquid phase at least) and a lifelong demand on your willpower? 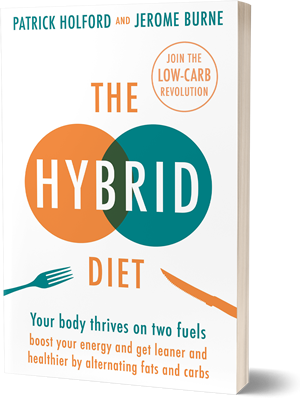 Or would you like to eat low carbohydrate, which avoids hunger, is nutritionally rich, is catered for in any restaurant from McDonalds (no bun) to The Ivy and can be sustained without monk-like discipline? Some of the unique benefits of the LCHF (low carb high fat) diet have been set out in a recent paper by the South African nutritionist Professor Tim Noakes. These include: reducing bodyweight, lowering raised blood glucose and insulin, and lowering HbA1c (the marker for long term raised glucose). The diet also reduces levels of triglyceride (fats in the blood), blood pressure and reverses non-alcoholic fatty liver disease (NAFLD). In short, the diet might almost have been tailor-made to deal with the damaging changes in metabolism that come with diabetes. Yet still attempts are made to keep it out of sight. Much more controversial is the claim that a more extreme version of the low carb diet (the ketogenic) could be a valuable support treatment for cancer. Professor Noakes’ paper sets out the different carbohydrate content of low carbs and ketogenic diets. In the officially recommended diet, carbohydrates provide at least 55% of your daily calorie intake. In a LCHF diet for diabetes, carbohydrates make up less than 26% of daily calories (about 130 grams) and in a very LCHF (ketogenic) diet for cancer, carbs provide less than 10% of your daily calorie intake or between 20 and 50 grams. So, what can be the connection between diabetes and the changes in insulin and glucose levels in the blood that a low carb diet can reverse and cancer which, so we are told, is essentially a genetic disease normally triggered by mutations in a gene or two in a single cell? There are lots of clues, some going back nearly a hundred years, but the most recent set comes from an article in an accessible and authoritative magazine called Cancer World aimed at intelligent non-experts interested in the disease. The article is a roundup of the ongoing research into the possibility that the diabetes drug metformin could be a useful treatment for cancer. This, it explains, is because the drug is effective against many of the symptoms of metabolic syndrome such as weight gain especially around the middle, high levels of glucose and insulin resistance raised blood pressure and increased amounts of fats (triglycerides) in the blood and lowered levels of high density lipoprotein the so called ‘good cholesterol’. So running trials to see just how effective a low carbohydrate diet could be against cancer would make a lot of sense, wouldn’t it? After all the low carb diet doesn’t have the nasty side-effects of nausea and diarrhoea that come with metformin and cause about a third of diabetes patients to stop taking it. But just as the Lancet article ignored the benefits of low carb on diabetes, so Cancer World made no mention of the ways the ketogenic diet can mimic the effect of metformin on cancer cells. In fact, organisations such as Cancer Research UK have specifically rejected claims that there is any benefit to reducing intake of carbohydrates such as sugar that push up levels of blood glucose in cancer patients. But despite the PR attempt to keep the low carb party firmly on the fringes of mainstream medicine, it’s very clear that metformin looks promising as a cancer treatment because of the effect it has on metabolism and that the ketogenic diet comes with similar benefits. But is it really plausible that treatment of two of our most costly and distressing chronic disorders could be improved by something as simple as eating fewer carbohydrates? For a very readable account of the secret history of the theory that cancer is a metabolic disease see Travis Christofferson’s ground-breaking book ‘Tripping Over the Truth; How the Metabolic Theory of Cancer is Overturning One of Medicine’s Most Entrenched Paradigms’. Travis has also written about why reducing glucose in the blood is a vital part of fighting cancer here. The Cancer World article goes into some detail as to why metformin can benefit patients with prostate cancer, which, although the article doesn’t mention it, also responds well to the ketogenic diet. The drug brings down insulin which helps because insulin increases the amount of testosterone in prostate cells, a hormone which drives the cancer. High levels of insulin also produce more of a related hormone called IGF (insulin growth factor) which also makes cancers grow. Some of the ways insulin can stimulate cancer growth are set out here. The drug also can act as an antidote to the damaging effect of reducing testosterone levels in the prostate, the main treatments. Unfortunately this effectively induces metabolic syndrome: the patient puts on weight, becomes less responsive to insulin so blood sugar levels rise along with cholesterol. All damaging changes that a ketogenic diet can also help to reduce. The article also describes how metformin can help to improve the effectiveness of radiation therapy which routinely damages healthy cells. But the ketogenic diet can also do the same thing according to an article just published in the International Journal of Radiation Biology last October (behind a paywall). The research into the ways that metformin could become a new cancer treatment have been going on for nearly twenty years and involve cell and animal work and randomised controlled trials. The Medical Research Council (MRC) is considering running a metformin trial and there are also metformin related projects underway, according to Cancer World, at Miami University, the Swiss Group for Clinical Cancer Research and at the Koritzinsky Lab in Toronto. Meanwhile funding to firmly establish the benefits of a ketogenic diet, which looks as if it can provide as much if not more support than metformin with fewer side-effects, is almost impossible to obtain. Makes commercial sense but is hardly in the best interests of patients. The parallel with political parties that threaten the status quo is all too plain. One solution would be a coalition. For those fighting for the low carb option for diabetes to join forces with those doing the same for cancer. Signing up patients might then create and unstoppable momentum. Sadly, this once again shows that patients are a long way down the list of priorities. Whatever the question, a drug is the answer. I’ve stopped contributing to cancer and heart ‘charities’ seemingly controlled by pharma. Just goes to show, that our health systems are still being driven by the profit of the big pharmaceutical companies. Shame! Or that our own thinking and choices are run by our private self interest, disguised against shame of exposure by pointing the finger and inviting the stoning. Not that I have any sympathy with Corporate deceit – but that it works by manipulating the minds of the blind. The very term health system is a symptom of blindness. The system is not alive but runs on the sacrifice of the living to its compliance and conformity by the carrot and the stick. But there is a choice and many are choosing with life rather than with the masked agenda that runs as protector of life under fear. Fear of choice calls for deeper self-honesty and acceptance. Society tends to run on blame and manipulations by which to get others to behave so that difficult feelings are evaded. In some sense ‘everything we thought we knew is wrong’ – but the way of releasing investment in the false and aligning in the true is hampered by a dalek’s eye view of life and the world. The more we recognize the devices and deceits by which the false appeals as true and make the true seem heretical and threatening, the more able we are to release them from our own thinking. Or rather from the underlying definition and beliefs upon which our thinking proceeds. Evading responsibility is an attempt to deny and evade both responsibility and consequence by distorting cause and effect in a driven sense of assertive narrative also known as power struggle – where wealth can be sought as a means of power rather than holding the scope of a balanced flow of abundant life. Evading responsibility hollows out by giving cause and power to external effects. It becomes addicted yet blind to its own condition and then hateful to being exposed in its humiliating sense of powerlessness and thus defended against at almost any cost. Awakening responsibility is a the spontaneous effect of releasing the charged and conflicted state of denial just as healing spontaneously occurs where conditions no longer block or starve a natural reintegration. Perhaps the principle block is judgement, rejection and blame. But the pride in what seems like power is not connected with the resulting fragmentation and conflict that is also judged and suppressed or conformed. As a result of fragmentation and conflict – a sense of disconnect – develops an oppositional sense of ‘separate self interest’ that rightly believes it survival as a private agenda set in defence against a feared transparency of communication or wholeness is at stake. The issue is the confusion of identity with a means by which to hide and be hidden. In identifying with anything as self, we give it the power of our protection and have developed a way to use our own power against ourself under the belief we are betrayed and attacked by an evil or opposing power. And into this susceptibility is attracted manipulative intent that fulfils a role in our own narrative continuity. Insofar as we can let healing in – be that for all or any level of pain, conflict or disease, we become a mostly unselfconscious witness to health just in living such qualities as are natural to wholeness. But in the focus in and on sickness as a way to make identity of self-evasion, we hold back from looking at the issues and situations exactly as they are so as to ‘read’ or discern the movement of life in its particular constellation. Not least because we feel unable to abide with, in powerlessness – but act to make the outer conditions supportive to an inner sense of lack or fear. In social political terms, mind control or mind capture is operating the narrative control as a targeting and manipulation of such otherwise unconscious or evaded fears. And believes itself power over a fallen, weak, degraded or unworthy underclass, who generally reflect the reinforcement of such beliefs because that is the nature of any active belief. Reclaiming our power is simply aligning in it rather than seeking it in external terms. But of course our learned responses are triggered to reenact a past that is no longer here, and so our liability to be baited to react without conscious pause to know our own mind. But the willingness to release conflict as the way of resolving issues is the desire to find a better way – and this initiates a self-educating willingness that learns and grows a different purpose – rather than being baited to be defined in opposition to a feared or hated purpose. It isn’t so much the details that I seek to convey – but simply a message from ‘over here!’ to break the spell of fixating in a focus in what is wrong with… ‘whatever’. No one can ‘save’ anyone else from their own active choice – but in releasing judgement that damns, we can extend a gift the like of which will be deeply received in their own timing. Perhaps immediately and perhaps beyond our current sight. But the intent and attempt to change people works counter to accepting and relating to them as they are. There is no point from which to change in narrative assertions and power struggle – excepting to dress the fact in shifting disguises. I am a diabetic of 13 years diagnosed and have been following the low carb low calorie plan for 2 years. I have gone from HbA1c of 8.2 to 5.4. I have reduced insulin from 40 units daily to 22 units. Reduced other meds by 50%. Although we are encouraged not to believe that we are responsible for our illness, the media continue to associate it with obesity. So, lets say it is obesity (although I wasn’t). Lets say it is food that is making us ill. Why not use food as the cure. Or better still, get rids of the foods that are poisoning us. I can easily eat 800 calories a day just by cutting out white carbs. I still eat carbs but they come from whole foods like courgette, broccoli, apples, peppers, the list goes on. Life is not unbearable without potatoes, bread, breakfast cereal, pasta, rice and processed foods, sugars and cakes. It opens you up to the wonderful alternative foods. A bowl of sugary cereal or a poached egg on half a sliced avocado. I know which I prefer. As for big pharma dictating our treatment, yes I agree. Are doctors bowing to their demands, incentives and bribes, yes too. But the big incentive for doctors to recommend this way of eating should come from the fact that I alone am saving my doctor €300 a month on my state paid for medication. Let that be the drive if one is needed.